One winter, when the birds were all leaving south for warmer areas, one little bird broke its wing on the way and was left behind. Soon frost and snow covered the forest and she was cold and hungry. So she asked the trees to help her and let her stay in their branches; however, the trees are not always kind. The birch tree was proud of being beautiful and haughtily replied to the bird’s pleas by saying that he could not possibly help her because he had to look after the birds of the forest first. The strong oak tree was reluctant because it was afraid that the bird would have to live there till spring time and would eat up some of its acorns. Even the willow tree that seemed to be gentle otherwise refused to help or even talk to the stranger. The poor bird was in much distress and tried to fly some more but her wing was still not fit for the purpose. Seeing her struggling like this, the spruce tree asked her why she seemed so downcast. When the bird revealed her miseries, it offered her the thickest, softest and warmest branch to stay. The bird was really glad to find some help. Inspired by the kindness of the spruce tree, the big and strong pine tree volunteered to protect the spruce and the bird from the North Wind all through the winter. The little juniper tree also piped in to offer its berries to the bird to quench her hunger. So, the bird lived comfortably there and flew away again at springtime, when her wing healed again. The Frost King, who kept close note of the behavior of all trees, strictly instructed the North Wind not to touch even a single needle of the kind spruce, pine, and juniper trees, while he was free to play havoc with the leaves of other trees. The North Wind especially enjoyed plucking the shining, green leaves of the willow, oak, and birch trees and leaving them bare for the winters, with nothing to protect them from snow, rain, and sleet. 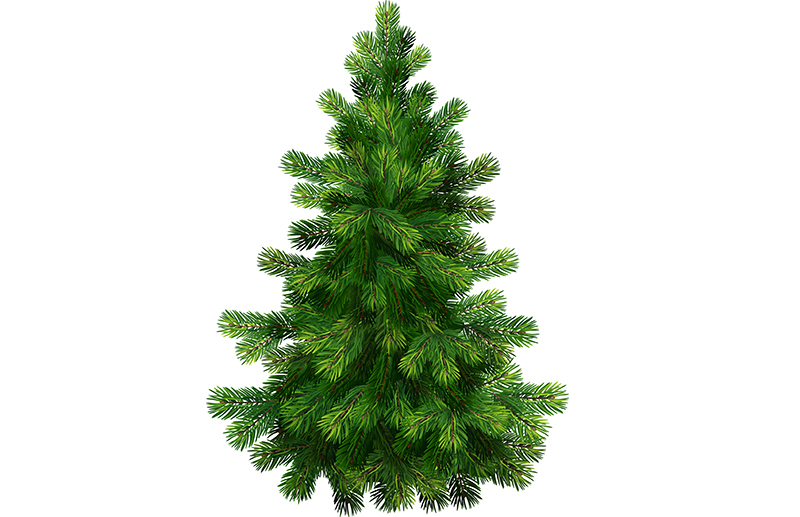 It is for their kindness that the needles of the, the pine, and the juniper are always green and they are known as evergreen trees.